"BuzzFeed’s investigation documents how current and former employees from at least 10 UHS hospitals in nine states said they were under pressure to fill beds by almost any method — which sometimes meant exaggerating people’s symptoms or twisting their words to make them seem suicidal — and to hold them until their insurance payments ran out"
International mental health industry watchdog Citizens Commission on Human Rights International (CCHR), which has filed over 2,860 official complaints against Universal Health Services (UHS) behavioral facilities with state and federal agencies, the FBI, healthcare fraud control units, and state and federal legislators, applauds BuzzFeed News for releasing the results of its own year-long investigation into UHS. Within 6 hours of the BuzzNews article, stock in UHS, the largest chain of psychiatric facilities in the U.S., plummeted $1.5 billion. BuzzFeed’s investigation documents how current and former employees from at least 10 UHS hospitals in nine states said they were under pressure to fill beds by almost any method — which sometimes meant exaggerating people’s symptoms or twisting their words to make them seem suicidal — and to hold them until their insurance payments ran out. Internal UHS documents exposed by BuzzFeed show that one UHS psychiatric hospital’s strategic plan described extending patient stays as a means to meet financial goals. Other executives said this strategy was one they also used to meet their budgets. 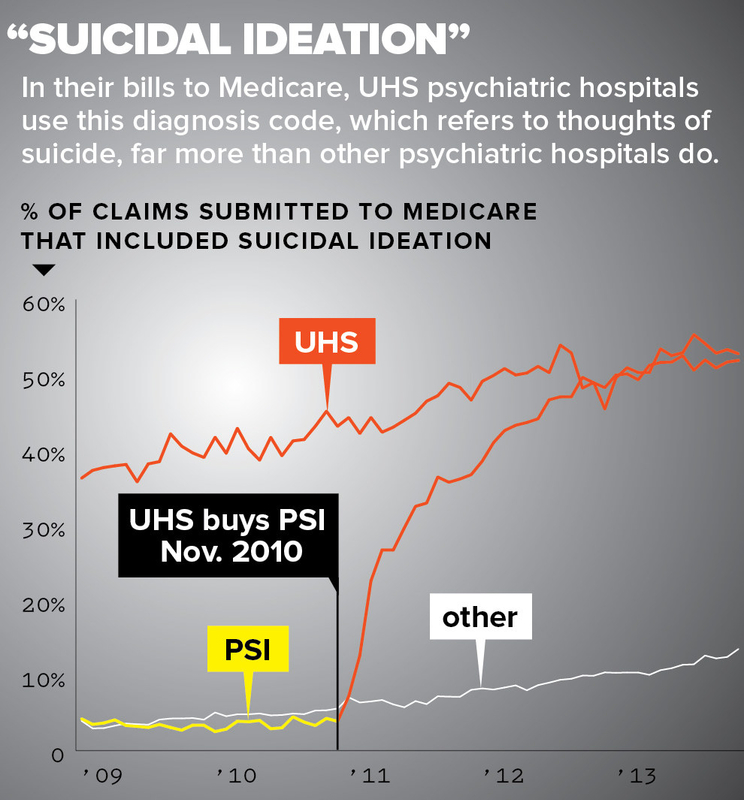 In response to Adams’ story alleging the for-profit hospital operator kept psychiatric patients longer than necessary to milk their insurance, UHS’s share price plunged $15.01 per share or 12%. Within 36 hours of the article being posted, no less than ten law firms had issued news releases announcing investigations into potential securities claims on behalf of shareholders resulting from allegations that UHS “may have issued materially misleading business information to the investing public,” according to one global investor rights law firm. The firm said it “is preparing a class action lawsuit to recover losses suffered by Universal Health investors.” Another firm indicated UHS may have violated sections of the Securities Exchange Act of 1934 and has called for investors to contact it. Since 2008, CCHR International has been investigating the UHS’s behavioral facilities, and began filing official complaints in response to about two-dozen whistleblowers that contacted CCHR alleging potential fraud and abuse in UHS psychiatric facilities. This is in addition to families that have sought CCHR’s assistance to help get a child or other family member released from the UHS facility where they were being held. As documented by CCHR, hundreds of psychiatrists affiliated with UHS have also billed Medicare and Medicaid millions of dollars in services and drug prescriptions. UHS is under federal investigation into whether the company committed Medicare fraud. The probe involves more than 1 in 10 UHS psychiatric hospitals. 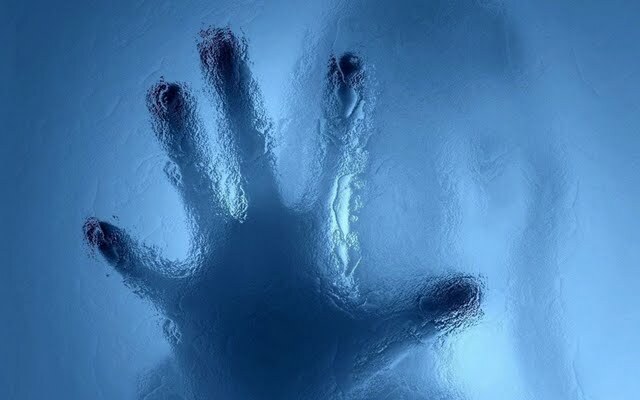 CCHR has been investigating the for-profit psychiatric hospital field for more than 35 years, with psychiatrists keeping patients detained in hospitals for long periods in order to milk their insurance dry. UHS behavioral facilities are no exception, prompting CCHR to call for the Federal Department of Justice to complete its billing fraud investigations of these facilities. “INVESTOR LOSS ALERT: Rosen Law Firm Announces Investigation of Securities Claims Against Universal Health Services, Inc. – UHS,” 7 Dec. 2016,http://www.businesswire.com/news/home/20161207006402/en/; “SHAREHOLDER ALERT: Bronstein, Gewirtz & Grossman, LLC Announces Investigation of Universal Health Services, Inc. (UHS),” PRNewswire, 8 Dec 2016, http://www.prnewswire.com/news-releases/shareholder-alert-bronstein-gewirtz–grossman-llc-announces-investigation-of-universal-health-services-inc-uhs-300375281.html; “SHAREHOLDER ALERT: Goldberg Law PC Announces an Investigation of Universal Health Services, Inc. and Advises Investors with Losses to Contact the Firm,” Business Wire, 7 Dec 2016, http://www.businesswire.com/news/home/20161207006425/en/SHAREHOLDER-ALERT-Goldberg-Law-PC-Announces-Investigation; “IMPORTANT SHAREHOLDER ALERT: Lundin Law PC Announces an Investigation of Universal Health Services, Inc. and Advises Investors with Losses to Contact the Firm,” Business Wire, 8 Dec 2016, http://www.businesswire.com/news/home/20161208005958/en/IMPORTANT-SHAREHOLDER-ALERT-Lundin-Law-PC-Announces; “Salpeter Gitkin LLP Announces Investigation of Fraud Claims on Behalf of Investors in Universal Health Services, Inc.,” Nasdaq Global Newswire, 8 Dec 2016, https://globenewswire.com/news-release/2016/12/08/896258/0/en/Salpeter-Gitkin-LLP-Announces-Investigation-of-Fraud-Claims-on-Behalf-of-Investors-in-Universal-Health-Services-Inc.html; “Wolf Popper LLP Announces Investigation of Fraud Claims on Behalf of Investors in Universal Health Services, Inc.,” PRNewswire, 7 Dec 2016, http://www.prnewswire.com/news-releases/wolf-popper-llp-announces-investigation-of-fraud-claims-on-behalf-of-investors-in-universal-health-services-inc-300374887.html; “INVESTOR ALERT: Law Offices of Howard G. Smith Commences Investigation on Behalf of Universal Health Services, Inc. Investors,” Business Wire, 8 Dec 2016, http://www.businesswire.com/news/home/20161208006233/en/INVESTOR-ALERT-Law-Offices-Howard-G.-Smith; “SHAREHOLDER ALERT: Levi & Korsinsky, LLP Announces an Investigation Concerning Possible Violations of Federal Securities Laws by Certain Officers and Directors of Universal Health Services, Inc.,” Digital Journal, 8 Dec 2016, http://www.digitaljournal.com/pr/3169980#ixzz4SHeNcghB; “UHS NOTIFICATION: Faruqi & Faruqi, LLP Encourages Investors Who Suffered Losses In Excess Of $100,000 Investing In Universal Health Services, Inc. To Contact The Firm,” PRNewswire, 8 Dec 2016, http://www.prnewswire.com/news-releases/uhs-notification-faruqi–faruqi-llp-encourages-investors-who-suffered-losses-in-excess-of-100000-investing-in-universal-health-services-inc-to-contact-the-firm-300375697.html; “IMPORTANT INVESTOR ALERT: Khang & Khang LLP Announces an Investigation of Universal Health Services, Inc.,” Business Wire, 8 Dec 2016, http://www.businesswire.com/news/home/20161208006322/en/IMPORTANT-INVESTOR-ALERT-Khang-Khang-LLP-Announces. “SHAREHOLDER ALERT: Bronstein, Gewirtz & Grossman, LLC Announces Investigation of Universal Health Services, Inc. (UHS),” Bronstein, Gewirtz & Grossman, LLC, 8 Dec 2016, http://www.prnewswire.com/news-releases/shareholder-alert-bronstein-gewirtz–grossman-llc-announces-investigation-of-universal-health-services-inc-uhs-300375281.html.